What a great surprise to find that one of my friends at WCOTC took photos of me and Jazz while we were in the Graduate Novice ring and sent them to me yesterday! I'm so happy to have these photos. I've never allowed Jim to take pictures while we're in the obedience ring, because I don't want Jazz to catch sight of him and be distracted, so it was a special treat to have these appear in my e-mail inbox yesterday! 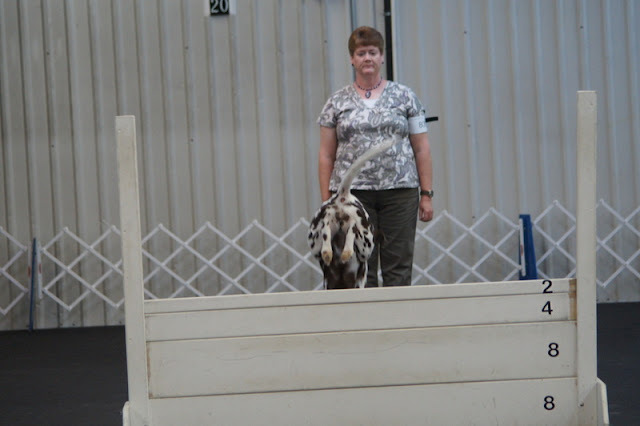 Jazz had a wonderful weekend of green qualifying ribbons at the Westmoreland County Obedience Training Club trial. We started our weekend off by getting qualifying scores in both Rally Excellent B and Rally Advanced B, thus earning Jazz's ninth RAE leg. Just one more to go! Saturday and today were our first foray into Graduate Novice obedience. It's an optional titling class that's sort of a stepping stone between Novice and Open. 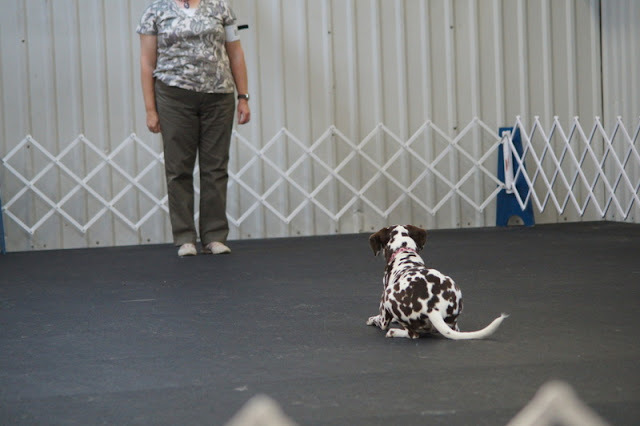 It involves exercises in heeling, figure 8, drop on recall, dumbbell recall, and recalls over a high jump and a broad jump. 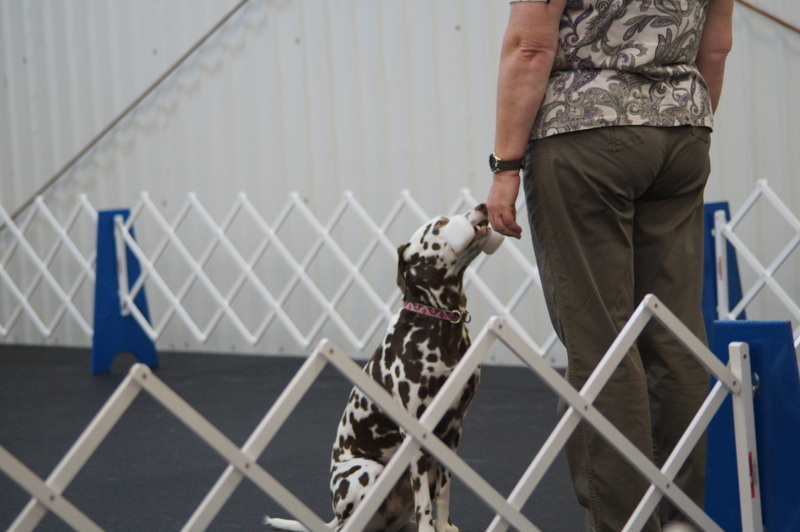 I'm pleased that Jazz qualified both days, got fourth place today, and was high scoring Dalmatian in the trial both days. 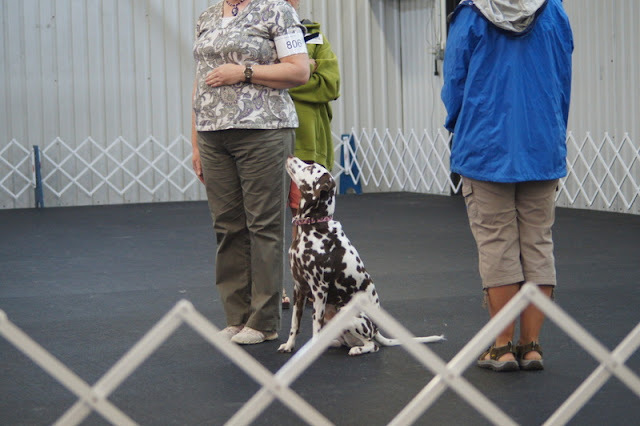 Jazz also got a very special award on Saturday for being the high scoring dog with an AKC Therapy Dog title!! So nice to be recognized for both our work in obedience and as a therapy dog. 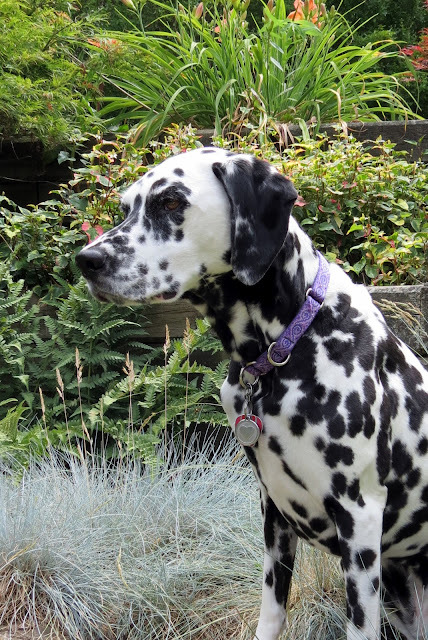 Many thanks to Nina B., who sponsored this award in honor of therapy dogs everywhere, including her boy Rocky. Jazz relaxing in the back yard after her big weekend. 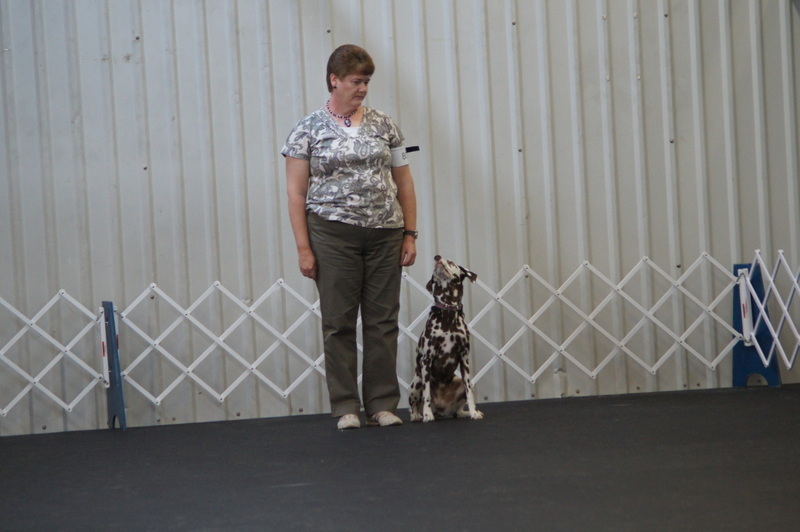 It was really fun to be back in the obedience ring with Jazz. I've said it a thousand times, but I'll say it again: Jazz is a joy to train and to live with. She is my heart's dog, and it's an honor and a privilege to be her partner.